Do you like Pina Coladas? If you are in the mood for drinks with umbrellas, sandy beaches and lots of sunshine then join us at Heart2Heart Challenges for our Tropical Challenge week! 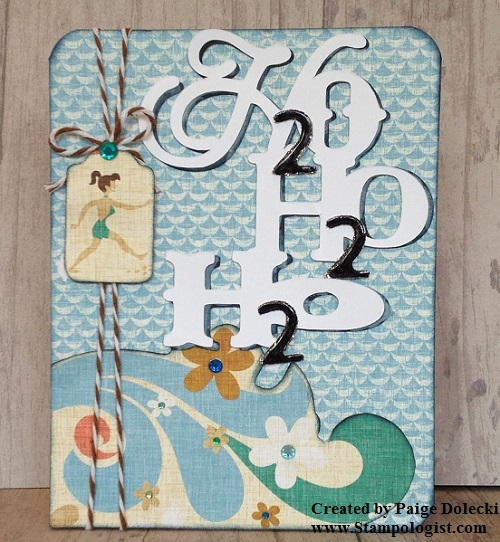 My card this week is a play on the water/beach word theme of H20. I don't know about you but I'm ready for sunny skies and walking in the sand like the little cutie on the tag! Get your sunny mojo revved up and join us over at Heart2Heart Challenges! Remember to include some CTMH product in your project and have some fun with us! Love your H2O and the papers you used. Thanks for sharing your Summer Surf's Card. Looks great. Thanks so much! 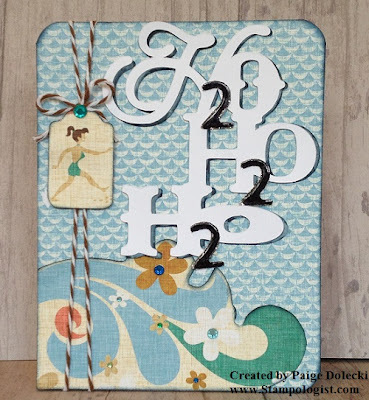 I wasn't sure if people would get the H20 or if it would look too much like the Ho,Ho,Ho cut from Artiste (which it really is- LOL)! I'm glad you liked it and thanks for visiting! Great colors! Thanks so much for sharing your creation! Pre-Order the NEW CTMH Artbooking Collection! NEW Artbooking Cricut Collection Handbook!